Kay Snodgrass, former editor of These Days magazine, provides us a delightful collection of poems and short inspirational essays illustrated with original art and photographs. These devotional readings are arranged thematically in broad categories and include such well-known contributors as Frederick Buechner, John Purdy, Sara Covin Juengst, Kathleen Long Bostrom, and Bard Young. 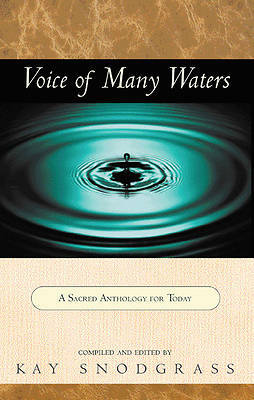 Voices of Many Waters offers helpful material for inspiration, reflection, and growth.